Please note: this product has now been replaced by the BW Clip range. 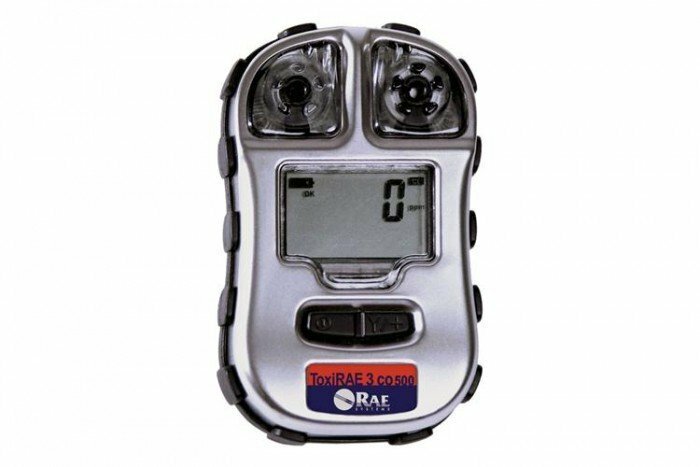 The ToxiRAE 3 is a full-featured Carbon Monoxide detector from RAE Systems. This particular model has a range of 0-1999 ppm. It’s ideal for use in the emergency response sector, environmental industry, fire services, oil and gas and industrial safety. Harmful concentrations of CO will be detected using the high-performance, 3 electrode, pinless micro sensor. This is a fast responding sensor which provides better protection and worker safety. Calibration and bump test reminders can be configured. The ToxiRAE 3 CO monitor is compatible with the AutoRAE Lite bump test and calibration station which can be purchased from Frontline Safety. The AutoRAE Lite provides fast results which allows detectors to be put back to work quickly. When it comes to fully-featured, robust, dependable and durable single gas detectors for anyone working in the oil and gas industry, you can’t go far wrong with the ToxiRAE 3. There are three different configurations of ToxiRAE 3 available and they are clearly identified by a different coloured sticker on the device.